Today, I saw two of my best friends for an outing. We went to see The Imitation Game (really good movie; it made me cry), which stars Benedict Cumberbatch. It is about the breaking of the Nazi enigma code by a group of linguists, cryptographers, mathematicians, etc. at Bletchley Park during World War Two. In particular, it is about Alan Turing, who was brilliant and homosexual and prosecuted for "indecency" and forced to have hormone treatments--chemical castration--by the British government. We saw the movie in the Village, which placed us mere blocks away from The Strand. 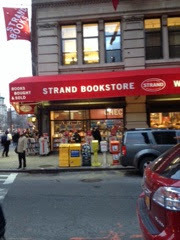 The Strand is book heaven. There are cheap books outside, new and used books on every conceivable surface inside, and three floors of books. Book heaven. I really don't get there enough; I should go more. 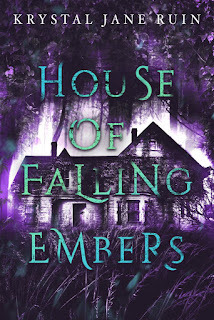 I kept seeing books on my to-be-read list and picked up others that I may very well have read a little of had the place not been hot and crowded on this holiday Monday. The fact that I only came out of there with two books is...a bit of a miracle. I've been reading so much on my Kindle lately that being in the nirvana of books made me feel overwhelmed and peaceful at the same time. 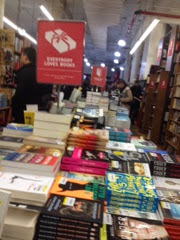 Overwhelmed, because there are so many books and oh, my god, there's that one that I wanted to read, too! My birthday is later this week and really, what better way to treat myself than good friends, food, Cumberbatch, and The Strand? I was wondering what The Imitation Game was about since it's up for awards and such. I like true life stories sometimes. Sometimes. Glad to hear the bookstore was crowded! More proof people still read for those 3 people who don't seem to think so anymore. I was at Barnes & Noble last week and it was also really busy. Three floors of books. It's awesome, awesome...so much stuff to look at and pick up and read. The place was stuffed with people and most of the aisles are narrow, so hard to maneuver around. But yes, people, people do still read print books. Indie bookstores are alive! The B&N closest to my house closed, but there's another one not that far away that's still open. Yup, that's Imitation Game. I'm trying to track down the book that was int the credits. Curious about the actual true story and not just the dramatization now. HAPPY EARLY BIRTHDAY! I'm so glad you liked The Imitation Game. I've been trying to go the past two weekends to see it, but either something comes up or I miss the showing. Now I must see it! You should really go to see it; it's a really good movie. I have not seen the movie! And I agree with Krystal, it's a great thing the bookstore was alive! We can't let them die. It was packed that day. I'm not sure what it's like on a normal day, but their selection is insane.